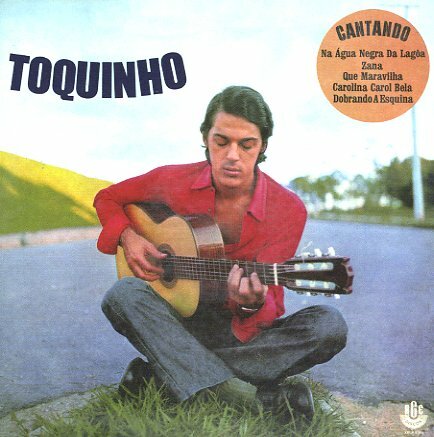 A wonderful early album from Brazilian guitarist/singer Toquinho – done before his famous collaborations with Vincius De Moraes, and with a very different groove! The record features guest appearances by Jorge Ben on two tracks – and much of the record seems to have Toquinho absorbing a bit of Ben's spirit – using lively samba rhythms on some of the best tracks, which creates a groove that's really unexpected – and which makes the album a real standout in his catalog! Toquinho's guitar work is wonderful in the setting – maybe even more compelling in its deftness, and no less full of feeling – and titles include a killer reading of "Que Maravilha", done with Jorge Ben, who also guests on "Carolina Carol Bela" – and other titles include a version of "Bachianinha No 1" with Paulinho Nogueira; a great cover of Ben's "Zana"; and the tracks "Evocacao A Jacob", "Chuva Na Praia De Juqui", "Evocacao De Jacob", "De Ontem Pra Hoje", and "Na Agua Negra Da Lagoa". © 1996-2019, Dusty Groove, Inc.